d:vote 4099, Electret Microphone from DPA Microphones in the d:vote series. 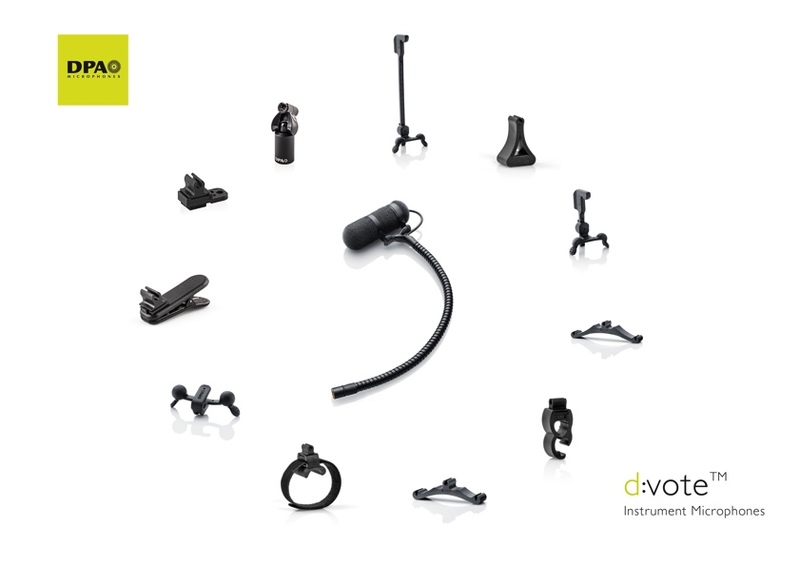 The DPA 4099U universal microphone solution has been designed for slim bodied and unusually shaped instruments. 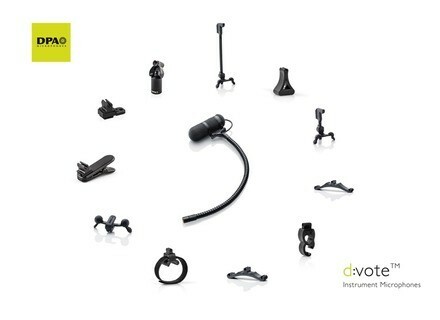 The mic clip includes a hook-and-loop fastener which is designed to allow instruments of varying sizes and diameters, such as oboe, clarinet, bassoon, recorder and flute, to be fitted. The 4099U includes a “90 degree” system which provides more mounting options. By detaching the clip from the gooseneck and re-mounting it turned 90 degrees, the number of mic positions is doubled. The 4099U includes a 3-pin XLR phantom power adapter. The UC4099 Universal Clip is available separately, and can be used with any of the various versions of the 4099 family. The product should start shipping late November. More about the 4099U universal clip microphone. DPA 4099D Clip Mic for Drums The 4099D microphone for drums and percussion unveils DPA’s ‘90 degree’ system, which is said to double the amount of available miking positions. Lexicon PCM Series Update The Lexicon PCM Series has received updates for the PCM92, PCM96 and PCM96 Surround hardware units. Pioneer S-DJ05 & S-DJ08 Pioneer introduced its active reference speakers designed specifically with DJ/Producers in mind.